We use Instagram to share our photos or videos with others. 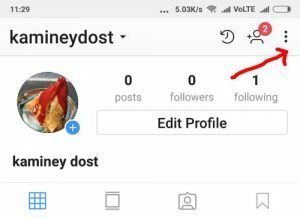 But sometimes we want to create a business profile on Instagram to make money and grow our business reach on Instagram. Instagram has around 600 million users worldwide and has grown fast in last 2 years. 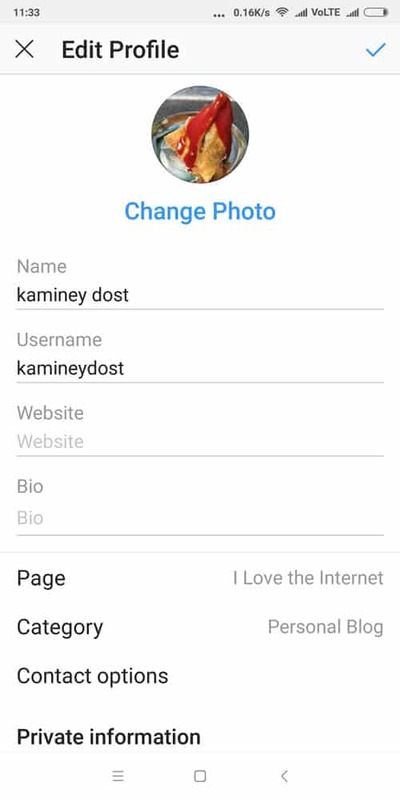 Instagram personal profile comes by default when you create an Instagram account first time. But to make or create a business page on Instagram you need to have a personal Instagram account. 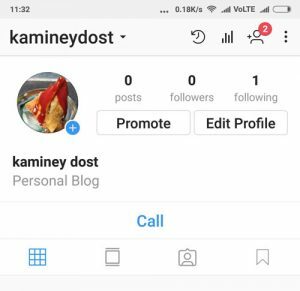 Personal Instagram account is for your personal uses but through business page you can grow you business and make some money with some extra settings. 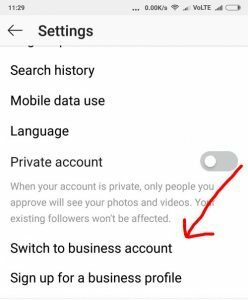 Yes, Instagram business account has some extra settings to customize your Instagram business page. Instagram personal profile has no “Promote” option. If you want to promote your Instagram post then you should have an Instagram business page. In this article I am writing a perfect tutorial to setup a business profile on Instagram. You just need to follow what i do. First of all open your Instagram app and login into your Instagram account. When you create an Instagram account its personal account by default. Go to your profile section as shown below and tap on the 3 dots at the top right side. Now it’s your settings page where we need to find “Switch to business account” and “Sign up for a business profile“. You can choose one of them according to your need. 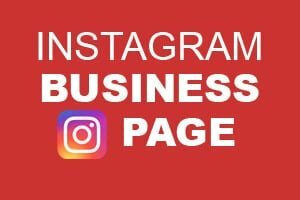 If you want to convert your Instagram profile into a business profile then go tap on “Switch to business account” but if you want to create an Instagram business page newly then go with “Sign up for a business profile”. I am selecting “Switch to business account”. In this step you have switched to an Instagram page successfully. Now you need to setup your Instagram business page step by step. So tap on “Continue” until you reach at the main page. Now on the next screen you need to select your business page categories. You can select multiple categories also. On the next screen you need to enter your business mobile number, email address and select business address also. You can change them later anytime. On the next screen you need to connect your Facebook account with this Instagram business account. However Instagram needs a Facebook fan page to setup a business profile on Instagram. So make sure you have Facebook fan page otherwise create it. Once you login into your Facebook account you will be asked to select one of your Facebook fan page. So select it and tap on “Continue”. After selecting a Facebook fan page you are done. 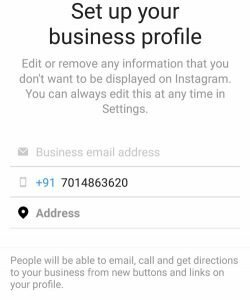 Now your Instagram profile became a business profile. 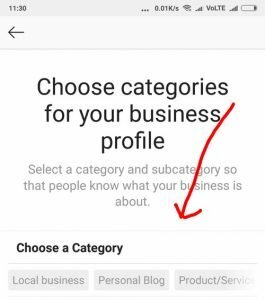 Instagram business profile has some extra settings to customize your business page. Well you can explore all extra settings one by one. I am going to guide you to remove or adding contact details on your Instagram profile page. Those blue button right below your Bio section like “Call”, “Email”. Go to “Edit Profile“. Here you can change you bio and enter your website address(If you have). 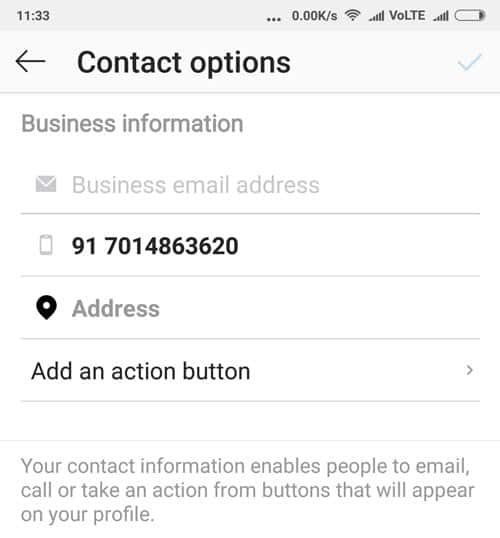 To edit contact details tap on “Contact options“. Here you can change or remove your “Phone number“, “Email address” and “Address“. Imagine at some point you want to switch back to your Instagram personal account than you need to go to “Settings” and find “Switch back to personal account” option. Just tap on it and you will be asked to login into your Facebook account again and boom. You are back. If you still have any query than let me know in the comment section. Thank you!